4150 DP Fuel Bowl Kit Contains Primary & Secondary Bowls with single fuel inlet on each. Bowls are designed for use on 4150/4160 double pumper carburetors. 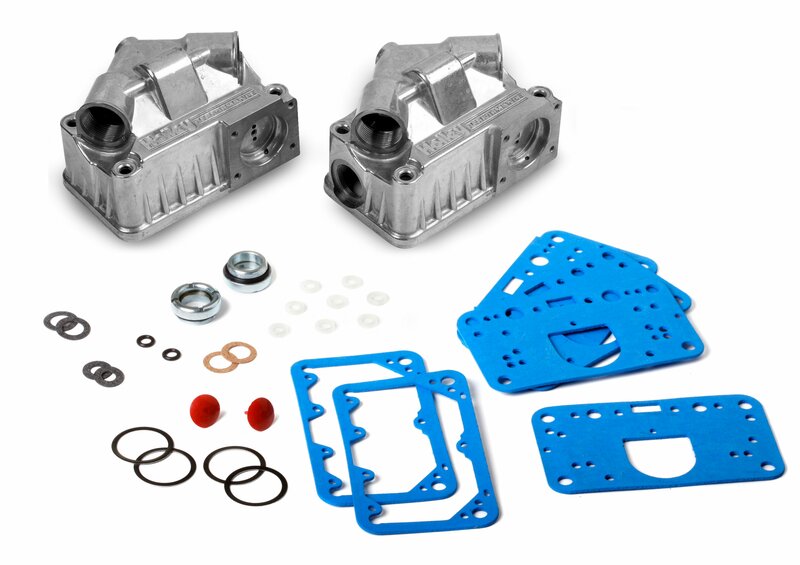 Holley's fuel bowl sight plug window kits will enable you to eyeball the carburetor's fuel level without ever having to remove another sight plug. No muss, no fuss, no mess. The 4150 double pumper fuel bowls come polished with a single fuel inlet on each fuel bowl. Made specifically for 4150/4160 Carburetors with rear accelerator pumps.